Fresh from the six person strong spiritual jazz band extravaganza of 2017’s warmly received album The Animal Spirits, synth wizard James Holden offers up yet another addition to his archive: an album of solo synth work written to accompany the critically-acclaimed documentary A Cambodian Spring, which following international film festival success, a programme of UK-wide screenings and a near-worldwide slot on MUBI is currently available to buy on DVD, Blu-Ray, download and stream. Standing in contrast to Holden’s recent impulse towards live collaboration (which as well as his newly-expanded touring band The Animal Spirits has also encompassed collaborations with Moroccan Maalems Mahmoud and Houssam Guinia and tabla player Camilo Tirado), the UK electronic stalwart’s first film soundtrack is a solo studio affair, drawing on his favourite go-to analogue instruments to showcase the many sides of his diverse musical leanings throughout fourteen tracks of pulsing melancholy, foreboding drone and even the occasional burst of beatless trance. The starting point for the soundtrack was the emotive ‘Self-Playing Schmaltz’, the closing track of Holden’s 2013 album The Inheritors, which documentary director Chris Kelly had used in an early rough cut to soundtrack what would eventually become the shocking and dramatic denouement of the whole film. Holden’s haunting, decaying synth lines seemed to line up perfectly with the fraught images of a community in breakdown, and it was this serendipity that prompted Kelly to invite Holden to work on a whole new original soundtrack for the rest of the film. The signature Prophet 600 sound palette which dominated ‘The Inheritors’ also features heavily here, supplemented by a cranky old Hammond organ which was inadvertently sacrificed to the cause when the ominous rumbles coaxed out during the three-part ‘Disintegration Drone’ turned out to be the sound of the aged machine’s internal speaker cone tearing itself to bits (thus neatly mirroring the on-screen disintegration of Cambodian society during the post-election Cambodian Spring uprising). But the musical highlight here is undoubtedly the soaring, uplifting arpeggios of the ‘Solidarity Theme’, where trance functions as the international musical language of solidarity to accompany the moment that land rights campaigners Srey Pov and Tep Vanny are freed from prison, a rare glimpse of hope set against what is an otherwise rather sombre narrative as we watch the forces of international development inexorably destroy the homes and community of the Boeung Kak lakeside area in Phnomh Penh. Holden’s first foray into the world of film soundtrack is certainly powerful and arresting when viewed in context, set against the striking collection of images assembled by ‘A Cambodian Spring’ director Chris Kelly to produce a number of genuinely emotive moments, both tragic and uplifting. But as a stand alone album release it also has much to offer, with cleansing, contemplative drone and euphoric melodies alike. When viewed chronologically, Holden’s desire to engage with a broad spectrum of electronic music may mean that his back catalogue can occasionally appear somewhat schizophrenic, but in the case of ‘A Cambodian Spring’ the epic documentary format and the wide-ranging human emotions on display here provide the perfect format for Holden to showcase the full breadth of his musical tastes. 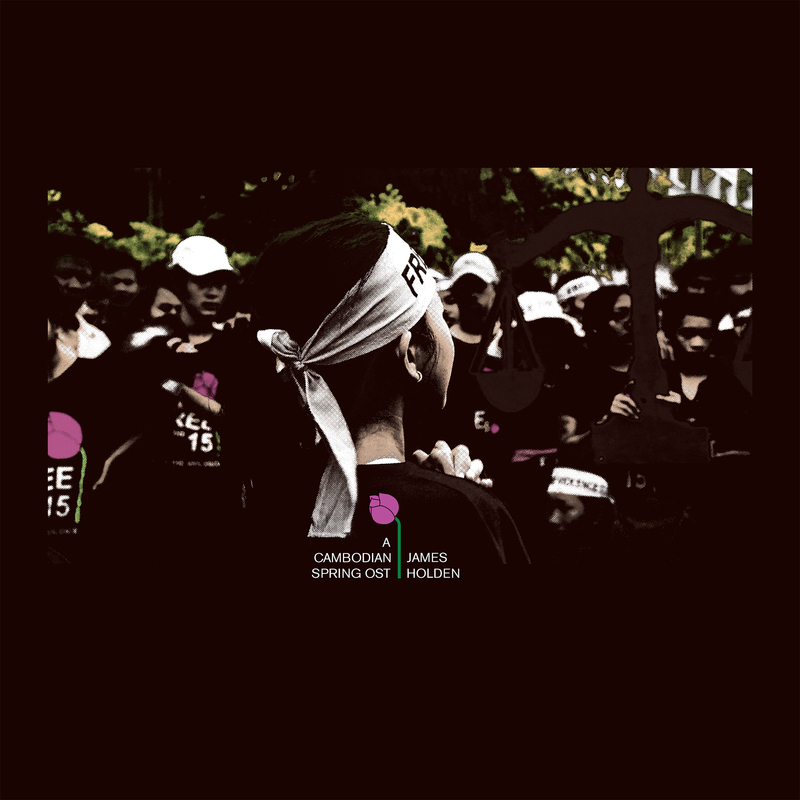 The ‘A Cambodian Spring OST’ vinyl release also includes sleeve notes by Imaginary Cities author Darran Anderson. Find the vinyl at the likes of Bleep, Bear Tree, Resident, or Norman Records, grab the digital at iTunes or Beatport, or stream via Spotify or Apple Music.